Donald Trump Spoke In Favor Of Waterboarding But John McCain Says No Way "If they started waterboarding, I swear to you there's a whole bunch of us that would have them in court in a New York minute," said Sen. John McCain. 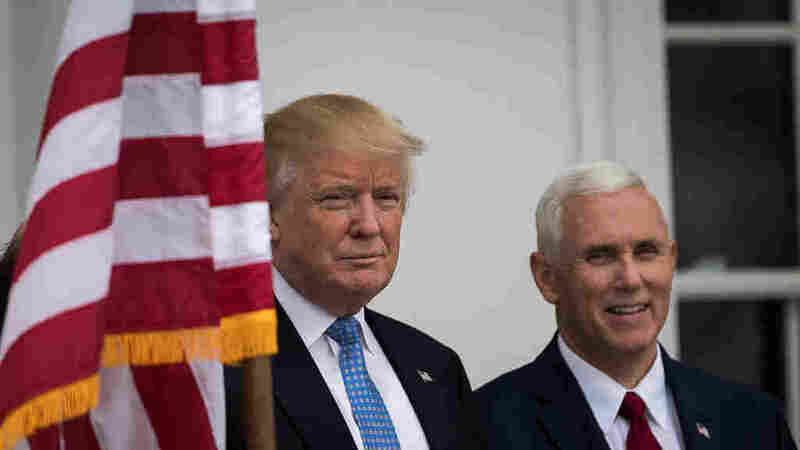 President-elect Donald Trump and vice president-elect Mike Pence at Trump International Golf Club in Bedminster Township, New Jersey. As he campaigned for president, Donald Trump spoke favorably about using waterboarding, torture and "much stronger" techniques on terrorism suspects. But in addition to likely legal challenges if Trump attempts to bring those practices back, two prominent Republican senators signaled he could face opposition from within his own party. On Saturday, Sen. John McCain (R-AZ) got animated at the Halifax International Security Forum, when a moderator asked about waterboarding and what powers congress has to "reign in a president who does things which you find intolerable?" McCain, who chairs the Senate Armed Services Committee, pointed to the Geneva Conventions and an amendment passed last year by congress, restricting interrogation methods to those listed in the Army Field Manual. "If they started waterboarding, I swear to you there's a whole bunch of us that would have them in court in a New York minute," said McCain. "So I don't give a damn what the president of the United States wants to do or anybody else wants to do, we will not waterboard, we will not torture. We will not torture people." McCain added that torture "doesn't work." Trump and his nominee for CIA director Congressman Mike Pompeo disagree. At a campaign event in the spring, Trump advocated a resumption of waterboarding. "Torture works. OK, folks? Believe me, it works. OK? And waterboarding is your minor form, but we should go much stronger than waterboarding," Trump said. Pompeo objected to a 2014 report from Senate Democrats that was critical of waterboarding and other so-called enhanced interrogation tactics. "Our men and women who were tasked to keep us safe in the aftermath of 9/11—our military and our intelligence warriors—are heroes," Pompeo said in a statement. "These men and women are not torturers, they are patriots. The programs being used were within the law, within the Constitution..."
When asked about this Sunday by John Dickerson on CBS's Face the Nation, Vice President-elect Mike Pence was vague. DICKERSON: At the moment, though, water-boarding is something the United States government does not do, so the enemy already knows that water-boarding is not something the United States does. Is it going to be reassessed by the Trump administration? PENCE: Well, I think the President-elect made his views on that quite clear during the course of the campaign. And — but, as we go forward, what I can tell you is, it's not going to be about a specific tactic. What I see in these meetings with the President-elect and candidates for our national security and our national defense is someone who is determined to surround himself with men and women of extraordinary background and capability. On CBS's Face the Nation Sunday, Sen. Rand Paul (R-KY) agreed with McCain on defining waterboarding as torture and said the issue would give him pause with regard to Trump's nominee to head the CIA, Rep. Mike Pompeo (R-KS). "[H]e's going to have to also answer to my liking whether or not he's still for torture, whether or not he's for waterboarding," Paul said. But the views of Sen. Jeff Session (R-AL), Trump's pick for Attorney General, may matter more because, if confirmed, his office could make a legal determination about such practices in the future. I am glad he is able to say waterboarding was utilized only three times, that it had not been used in 5 years. But I am glad he also said he would not say it would never be done again. This would be unwise advice to the enemy we face. Sessions' nomination already has overwhelming support from Senate Republicans.